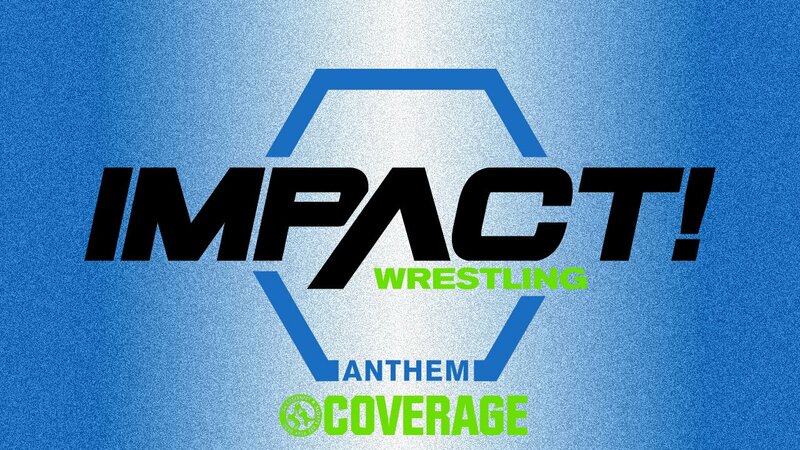 Impact Wrestling opens with a cold opening hyping up the 16th Anniversary of the company and the card for Slammiversary. Petey Williams makes his way to the ring for the match. 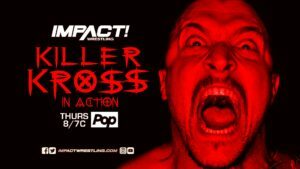 Killer Kross makes his way to the ring for the match. The bell rings and here we go. Petey goes for the quick strike and move strategy then tries to irish whips Kross but Kross counters and pulls Petey in for a bear hug. Petey gets free and tries to kick Kross but gets caught and is brought down to the mat with a suplex. Kross then lifts Williams up for a running powerslam but Petey slips out the back and begins to lay in chops but Kross catches a chop with his chin. Petey then fights back and gets a flurry of offensive. 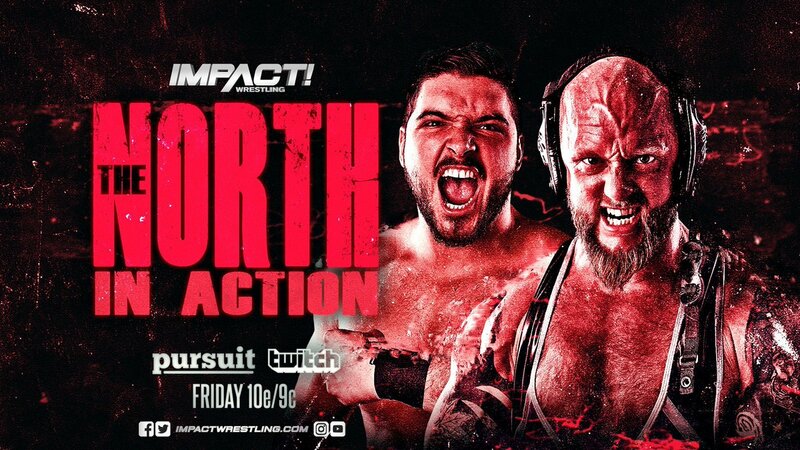 He hits a codebreaker followed by a tilt-a-whirl DDT and then goes for the Canadian Destroyer but Kross counters and hits Petey with the Doomsday Saito then locks in the Kross Jacket submission. The referee tries to call the match but Killer Kross scares the referee and tells him not to call it just yet. Killer Kross then allows Petey to set him up for the Canadian Destroyer then counters and slams Petey to the ground. Kross then locks in the Kross Jacket for the submission victory. After the match Kross grabs his jacket and calling card and lays it on Petey’s body. 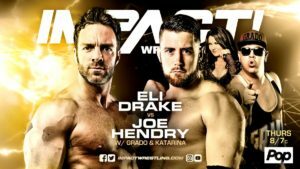 Grado and Katerina run into Joe Hendry backstage and he questions him about his confrontation with Eli Drake last week. Hendry tells him not to worry about it and tells him he has a surprise for him. They leave and Joe Hendry goes back to him photoahoot. 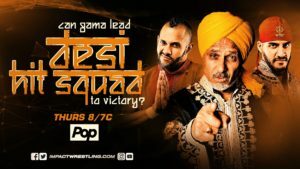 Gamma Singh is in the ring and introduces The Desi Hit Squad. The Desi Hit Squad make their way to the ring. KM and Fallah Bahh make their way to the ring for the match. Rohit jumps Fallah Bahh from behind and tries to get the upperhand on him but ends up getting taken down. Rohit then tags in Gursinder but Bahh is still in control and takes him down. The guy tries to take out KM which distracts both KM and Fallah which allows for Rohit to get the jump on Bahh. The Desi Hit Squad puts Fallah in the corner and Rohit hits big kicks on him. Fallah then fights back and makes The Desi Hit Squad collide head first into each other. KM tags in and goes on a tear even hitting a big splash on Gursinder and goes for the pin but Rohit breaks it up. Fallah comes in for the save and both guys are down which allows for both KM and Fallah Bahh to do the Panda Roll on them. The Desi Hit Squad would regain control of the match when Gamma got on the apron to distract the referee. This allows for Gursinder to rake the eyes of Fallah and Rohit to take out KM then Gursinder rolls up Fallah for the win. We see a video package about the civil aar going on between LAX and The OGz. It shows everything that lead up to the 5150 street fight. Eli Drake makes his way to the ring for the match. Joe Hendry accompanied by Grado and Katerina makes his way to the ring for the match. Before the match starts Joe Hendry gets on the mic and says that Eli Drake has been expressing his opinion of him and now it’s his turn. He plays a video on the titantron mocking Eli. Eli would then drop Hendry and thanks him for the YouTube channel plug. The bell rings and Drake lays in the shoulderblocks to Hendry in the corner. Drake would then toss him into another corner and continue the attack. Joe would then fight back and hit a suplex on him then Irish whips him into the corner but Eli counters and sends Hendry into the coelrner and puts him on the middle rope and lends on him wearing him down. Drake would then hit a big neckbreaker and continue the attack putting him in the corner then irish whips him into another corner. Eli runs runs right into a big boot from Hendry then follows up with a clothesline then tries to go for a suplex but Drake counters then sets up for the Gravey Train. Hendry would counter and roll up Eli for the win. After the match Katerina and Joe Hendry hug and jump up and down together with Grado standing on the side looking confused. They get to the top of the ramp and Hendry and Katerina hug again. Andrew Everett makes his way to the ringfor the match. Dezmond Xavier makes his way to the ring for the match. The bell rings and here we go. 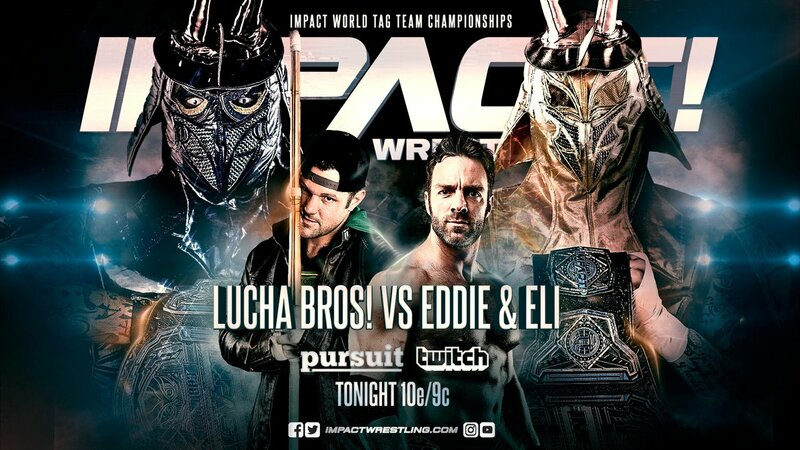 Eddie Edwards would slide in the ring with a kendostick and assault the referee with the weapon then toss him out of the ring. Eddie would then grab a mic and says that the time has come and it’s here for Tommy Dreamer. Eddie says he doesn’t care about the stipulation because he knows what’s going to happen. He says there is going to be pain, vviolence, and so much blood. Eddie says he is going to make Dreamer bleed and lay in a puddle of his own blood. He says he is going to kneel down and toutch his bloody face and then feel and taste his blood. He goes on to say that Dreame will look at him and realize that he is the TRUE innovator of violence. He then ends by saying that he is going to be Dreamer’s never ending nightmare. We get a continuation of Su Yung haunting and terrorizing Madison Rayne. She wakes up in a funeral home and apparently the funeral is of her. She opens the casket to find her body in it. She then wakes up from that nightmare and the funeral director ask her if their is something wrong. She goes back to look at him and he is wear Su Yung’s face paint and says her time has come. Madison then runs out in the hall and finds a little girl. The girl ask her if she knows where her mommy is and Madison tells her no. Madison looks up again and the girl is wearing face paint and tells her that her time has come. Madison then wakes up again but this time outside and is dosed in blood. Su Yung and her undead brides appear behind her and Su tells her that her time has come. One, two, @realsuyung's coming for you. Greg Osborne makes his way to the ring for the match. Sami Callihan and oVe make their way to the ring for the match. Sami is wearing a Zero Fear hat and carrying one of Pentagon’s mask to the ring. Before the match starts he kisses the mask. The bell rings and Sami hits a big kick to Greg in the corner then follows up with another big kick. Sami then tells oVe to hand him the mask. Sami grabs it and turns around to get met with a flurry of punches from Greg. Sami then digs in Greg’s eyes and hits him with a piledriver. Sami then puts the mask on Greg. 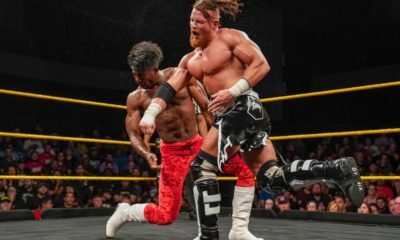 Sami would then grab a mic chant Pentagon then shootkick Osborne in the head. He then accepts the match again thinking Osborne is Pentagon. He kicks Osborne again and then says he’s had enough fun and says he’s gonna kill him. Sami would then hit the Get Outta Here knee for the pinfall victory. After the match Jake Crist would superkick Greg Osborne and toss him out of the ring. Sami then hypes his match for Slammiversary. We then hear from Pentagon who talks about the match and calling Impact his house. 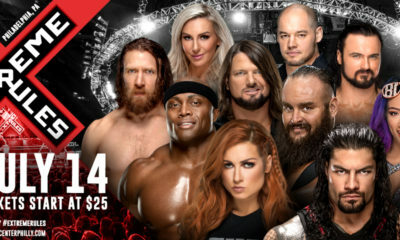 oVe goes to find Pentagon. Allie responses to what Tessa had to say about her last week. Allie says Tessa has learned nothing from her dad and grandpa. Kiera Hogan shows up and is happy about their upcoming tag match as they leave to get ready for the match. We then see Moose who says that he is here and ready for Austin Aries. Back from break we see a video package about how we got to Allie vs Tessa Blanchard at Slammiversary this Sunday. Shotzi Blackheart makes here way to the ring for the match. Tessa Blanchard makes her way to the ring for the match. Allie and Keira Hogan makes their way to the ring for the tag match. Keira and Tessa start off the match. Keria tries to calm down Allie before she starts the match. Tessa pushes Hogan in the corner but backs off her. Tessa runs at hsr again but Keira counters and pushes Tessa up against the ropes. Keira then rolls up Tessa for a nearfall. Hogan then takes down Tessa again which leads to Tessa tagging in Shotzi. Keira still control sends Shotzi to the floor then hits a suicide dive. Hogan tosses her back in the ring then tags in Allie. Allie then hits a running low forearm for a nearfall. Allie then backs Shotzi intobher corner and Keira tags back in. Hogan stays in conteol of Blackheart but gets tossed into the corner. Blackheart tosses her over the ropes onto the apron. Hogan gets caught with a superkick from Tessa. Keira is able to recover and tag in Allie. Allie stays on the attack on Shotzi and goes for the cover but Tessa breaks it up. Tessa and Allie get in each other’s faces and Tessa backs up into Keira. Allie then hits the best superkick ever on Tessa. Shotzi then tries to capitalize on the distraction but Allie fights back both knockouts are down and Shotzi tries to tag in Tessa who hops off the apron and leaves her high and dry. Allie then hits the codebreaker for the win. We see oVe looking for Pentagon Jr as we go to break. Back from break and we see another vignette about this new Knockout coming to IMPACT. All the #ComingSoon teases in recent week's have been for @Lady_Scarlett13! Her name is Scarlett Bordeaux and she will make her IMPACT debut next week. 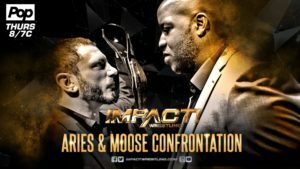 Johnny Impact hypes up his international fatal four way match for Slammiversary. We see a video packag about how we got to Matt Sydal vs Brain Cage for the X-Division Championship at Slammiversary. Back from break we see a video package showcasing the main event for Slammiversary. 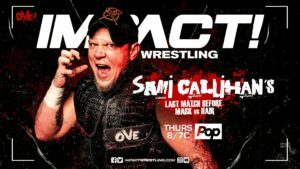 Dave and Jake Crist are scared and on high alert as they have lost Sami Callihan. They eventually find him tied to a chair wearing a mask. 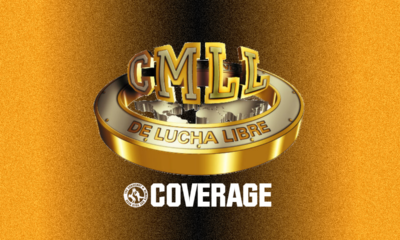 They try to untie him but get jumped by Pentagon who takes them out then turn his attention to Sami and says Cero Miedo. Moose makes his way to the ring. He grabs a mic and says that he has been aaay to prepare for Slammiversary. Moose says that the mind games aren’t working on him and that he must have been eating too many Bananas. He then calls him out and tells him to bring a Banana so he can beat him with it then shove it his rear. He tries to go to the back tk find but Aries appears on the titantron. Aries says he’s playing chess while Moose is playing checkers. Aries says he got to him by going through his friend DeAngelo Williams. The Austin Aries on the titantron aas apparently a video because he sneaks up frkm behind and hits Moose with a lowblow and hits him with a steel chair. Aries then holds up his title to celebrate but Moose gets back up and tosses Aries into the corner. Moose then grabs the chair and tries to hit him with it but misses. Aries then grabs his title and escpaes the ring. Moose stands tall in the ring. 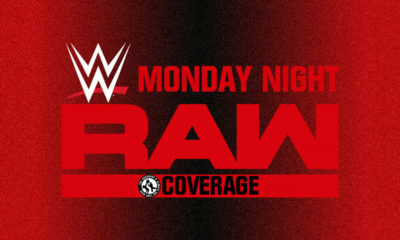 We then see a show closing video package showcasingand highlighting every match for Slammiversary this Sunday.